Call us at (601) 605-4402 today. Welcome to Northeast Eye Care in Madison. The Northeast Eye Care team strives to provide the best in optometry services. We invite you to browse our website to learn more about our optometry services and join our patient family by scheduling an eye exam appointment at our office.  Northeast Eye Care is a full service eye and vision care provider, accepting both eye emergencies as well as scheduled appointments. Patients throughout the Madison area come to Northeast Eye Care because they know they will receive the personal attention and professional care that is our foundation. Our doctors and our team are dedicated to keeping our patients comfortable and well-informed at all times. At Northeast Eye Care, we will explain every exam and procedure and answer all of our patients' questions. Additionally, at Northeast Eye Care, we offer vision financing options and will work with vision insurance providers to ensure good eye health and vision care for all of our patients. Our one-on-one approach to optometry makes the Northeast Eye Care staff the eye and vision care providers of choice in the Madison area. Our optometrists offer the following services: complete eye exams, contact lenses, glasses, glaucoma testing, and pre- and post-operative care. For a complete list of services, visit our services page or call our office at (601) 605-4402. At Northeast Eye Care, we are dedicated to providing high-quality optometry services in a comfortable environment.Call us at (601) 605-4402 or schedule an appointment today online. Hal E. Hill Jr., O.D. Dr. Hill is a primary care optometrist with 30 years of experience, specializing in areas such as “hard to fit“ contact lenses including multi-focal, astigmatism, and rigid-gas permeable. He is also focused on glaucoma management, urgent eye care, and pre-/post-operative care for many ocular conditions. Dr. Arnold is a comprehensive optometrist who specializes in primary vision care, contact lens fittings, glaucoma management, urgent eye care, and pre- and post-operative care. A native of Canton, Mississippi, Dr. Arnold received his Bachelor of Business Administration from Mississippi State University. He earned his Doctorate of Optometry from the Inter-American University Puerto Rico School Optometry. Dr. Arnold is licensed for the practice of optometry by the state examining boards of Mississippi and Pennsylvania. He is a member of the Mississippi Optometric Association and American Optometric Association. He currently resides in Madison with his wife Anna and two daughters. He enjoys hunting, travelling, and supporting his Mississippi State Bulldogs. "Dr. Hill was the best for my first visit! Will be back.. great bedside manner and a great sense of humor! Kept me rolling!!" "Dr. Hill has to be one the best. Easy to communicate with and has a sharp since of humor." "We love Dr. Arnold. He is funny and great with kids!"